Carnivals are traditional in Spain, but not in all areas. 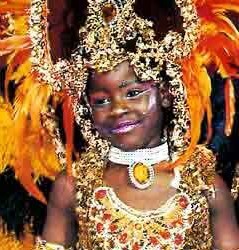 It is mainly on the Canary Islands, Gran Canaria and Tenerife, and in Cadiz where the Spanish carnivals are celebrated. In the Canary Islands and especially in Gran Canaria and Tenerife the carnivals are the year's great highlight and they are very similar to the carnivals in Rio de Janeiro. Incredibly imaginative and beautiful costumes and parades fills the streets of Tenerife and Gran Canaria on the Canary Islands for several days in February, as if the doors to an impossible fairytale kingdom suddenly opened up when the carnival starts. Warning: It can be very difficult to find accommodation in the Canary Islands during the carnival days, book early! On Gran Canaria the following carnivals are especially worth to mention: Las Palmas de Gran Canaria, Maspalomas, Agüimes, Agaete and Telde. The carnival in Cadiz is considered officially to be of international tourist interest, but they are very different from the tropical carnivals that are celebrated on the Canary Islands. The carnival in Cadiz is a very old tradition that can be documented since the late fifteen century. The main roles in the Cadiz carnival are played by the choirs and associations that go under many different names depending on the number of members and their specialty: choirs, "chirigotas", quartets and "Comparsa".